The recalled toys pose a risk of lead exposure to young children. 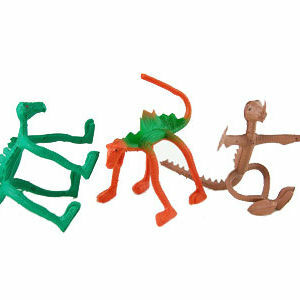 The recall includes about 10,000 bendable dinosaur sets sold in boxes of 36. The toys are about 3 inches long and come in brown, green, or orange/green colors. While the toys were sold in boxes, you may have received these products as a giveaway or promotional item from schools, libraries, churches, community groups, etc. The Kipp Brothers' showroom, catalog, and Web site from October 2006 through August 2007 for about $10 per box of 36. Take the recalled toys away from children immediately and can return the toy to the place of receipt for a free replacement toy. For additional information, contact Kipp Brothers at (800) 428-1153 between 8:30 a.m. and 5 p.m. ET Monday through Friday, or visit the Web site at www.kipptoys.com.